This entry was posted on Saturday, April 12th, 2014 at 11:53 am and is filed under Uncategorized. You can follow any responses to this entry through the RSS 2.0 feed. You can leave a response, or trackback from your own site. Thank you for this! I have my maternal grandmother’s set of the silver and was wondering about any ephemera related to the set! I did a quick Google search on the Silverware I’ve acquired through the passing of my grandparents. The dating of your set can be tricky. 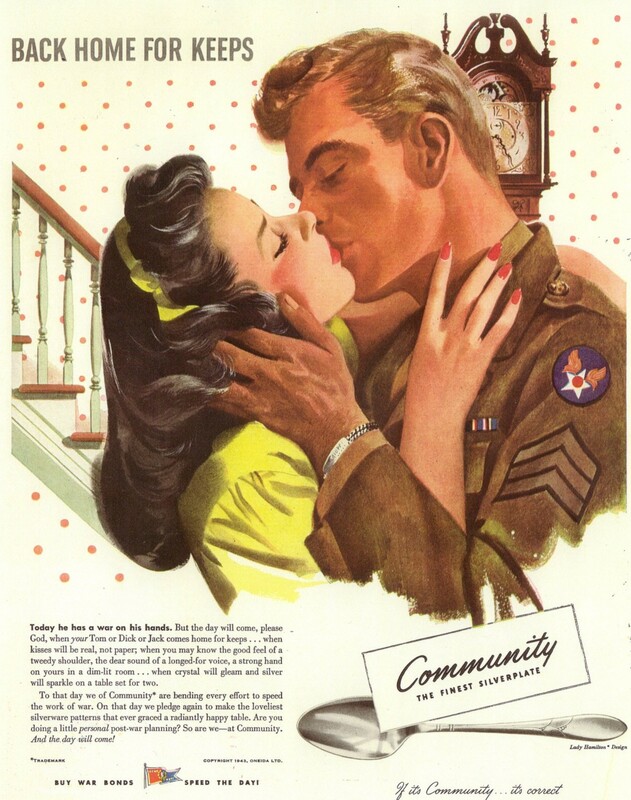 Although the pattern was introduced in the 1930s, they continued to make if for many years, including for a while in the 1940s. When the silver companies resumed their business after the end of World War II, they brought back some existing popular patterns right away while they prepared some new ones. Interesting. Thank you for the update. 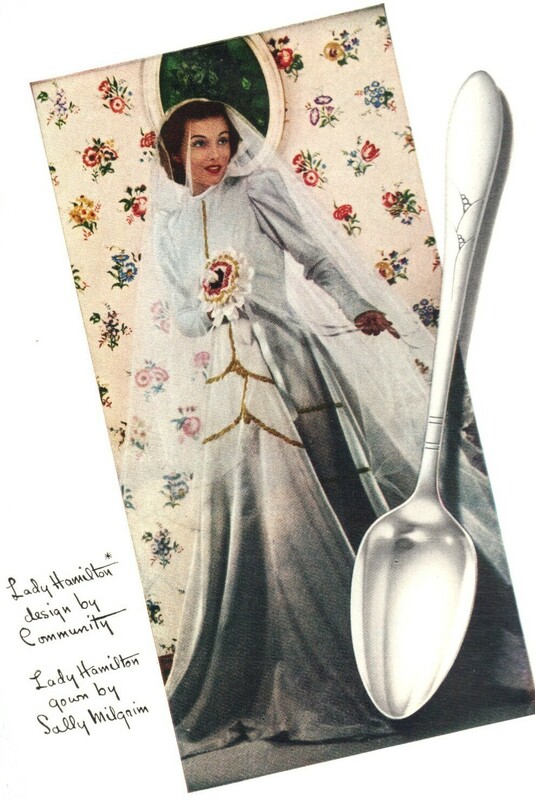 So, there isn’t anyway to arrive at a definitive time of the Lady Hamilton flatware? Do you know what could possibly be the latest production of this particular set? It’ll help narrow down if this set was infact from my great grandmother’s era.